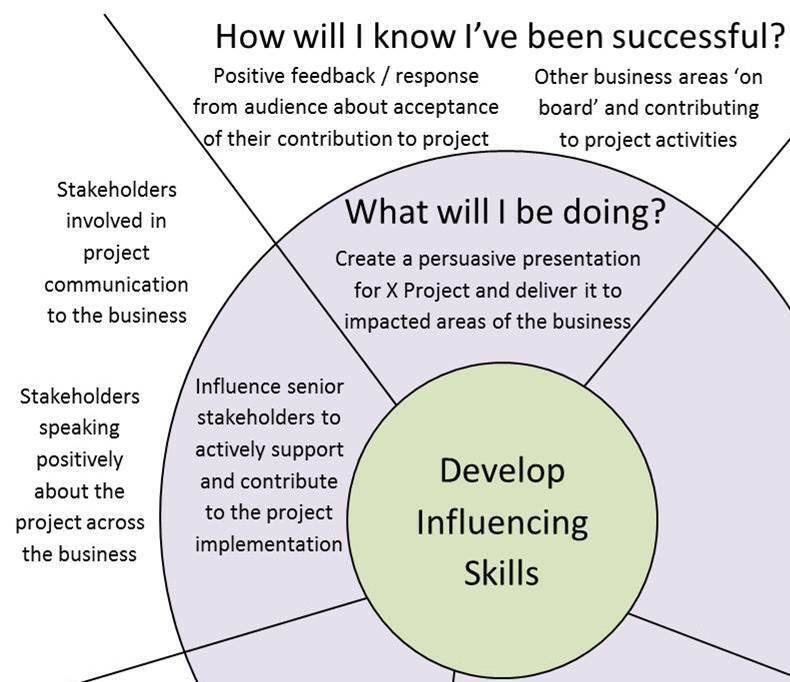 You’ve just sat down with one of your team to review his objectives and you’ve agreed that he needs to focus on developing his influencing skills, particularly in relation to his new project. You’re both very familiar with the concept of SMART, but have no idea how you’re going to make this objective measurable. 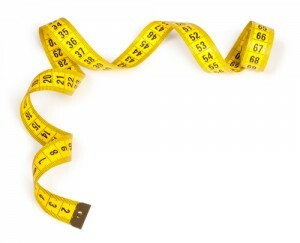 You could try to measure it in terms of the success of the project but other factors may impact its success. What you really want to do is measure his ability to influence. So, how do you do that? 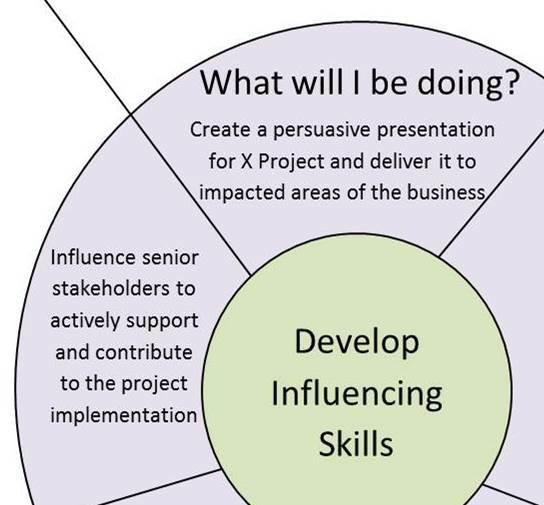 In this blog I’ll introduce you to a simple tool for setting objectives, using the influencing example above to illustrate it. But first, let’s start with how not to do it. What you don’t want to do is fall into the same trap as my manager did (let’s call her Rosie) when I was a newly promoted and inexperienced manager. We agreed that my development priority was to work on my people management skills. So Rosie wrote in my development plan “Julie needs to focus on developing her management skills rather than operating as one of the team”. I was delighted, I had finally made it; I was a MANAGER! I left the meeting happy and confident that I would be able to impress her. I put a lot of effort into allocating work fairly between the team, working closely with each team member, going through their work schedules, correcting their work and helping them with things they found difficult. Yes, that’s right, I was micro managing them! At my next review, Rosie told me how disappointed she was. She wanted me to delegate more as well as to coach and develop the team so they could be more self-sufficient. All the way through that meeting I kept thinking “Why didn’t you tell me that when we agreed the objective?”. So if, like Rosie, you need to set an objective that feels intangible and is going to be difficult to measure, then read on. How will I know I’ve been successful? 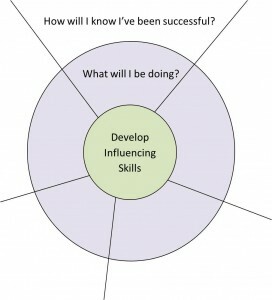 In the centre of the Focus Wheel, write the area of focus for the objective, for example ‘Develop Influencing Skills’. At this point, it doesn’t matter if it’s a little vague. This is what Rosie failed to do with me. We didn’t have a conversation about what she expected from me as a people manager. The inner ‘spokes’ of the Focus Wheel are used to describe successful performance. Ask “What will I be doing?”. You can have as many spokes as appropriate to the objective. 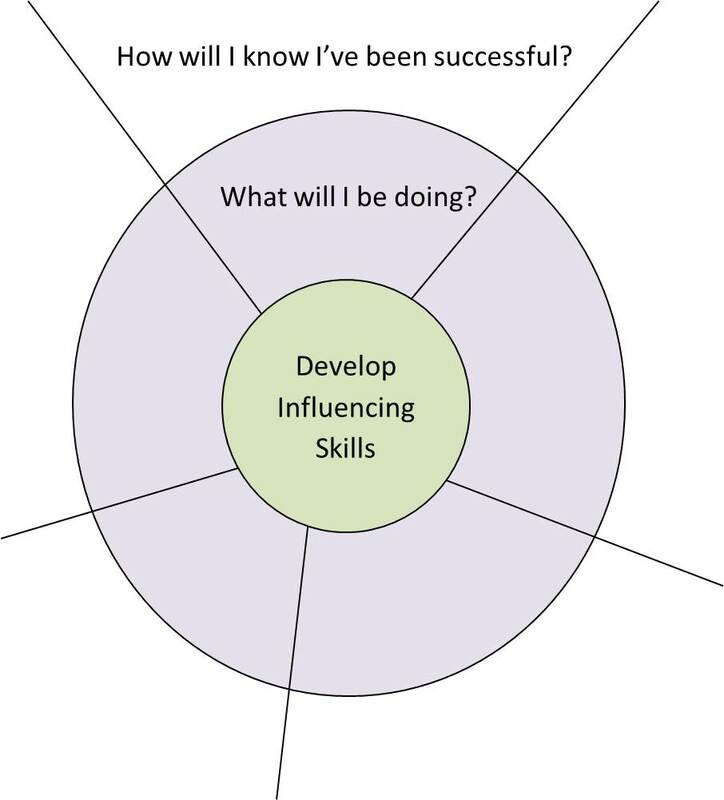 Be as specific as you can in describing what success looks like and try to avoid generalisations like ‘influence the team’. 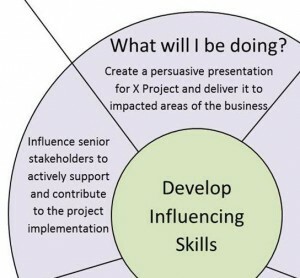 Instead, aim to be more specific by describing what they need to be influenced about and what the outcome will be, for example. So, here’s what part of the inner wheel might look like for the influencing objective. Use the outer ‘spokes’ of the wheel to record the ‘evidence’ or 'measures' that will indicate that the objective has been successfully achieved. Here’s what part of the outer wheel might look like for the influencing example. And that’s it. It’s important, of course, that the Focus Wheel is created together with your team member so that you both have a common understanding of what’s expected and how you’ll measure it. It will also give you something concrete to use when discussing progress towards the objective, something that was sadly lacking in my discussion with Rosie. And one final word . . . . 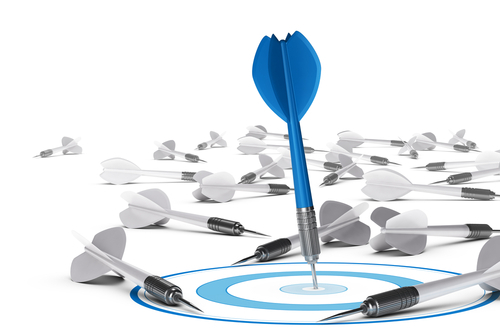 If using SMART as a checklist for objectives is enough, because the measures are clear, then you may not need the Focus Wheel at all. 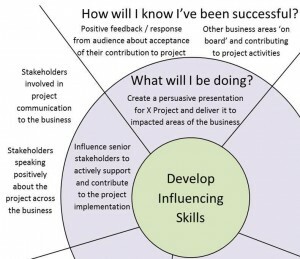 Just make sure you don’t opt for the ‘Rosie school of objective setting’ – if you’re working with a vague or woolly objective, use the Focus Wheel to make sure you have clarity and common understanding.